c1795 (1799?) Coalport Porcelain Works (John Rose & Co), founded in c1795 (1799?). 1926 acquired by Cauldon Potteries and moved to Shelton, Stoke-on-Trent. 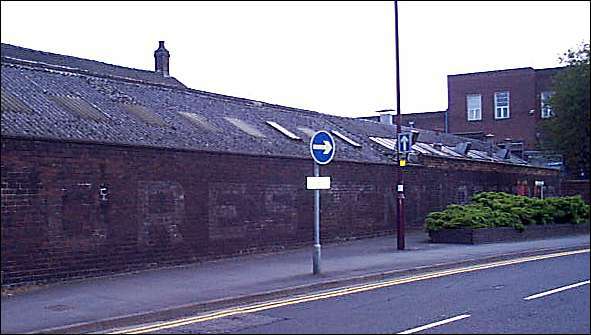 at some time moved to the Crescent Works in Stoke. 1951 the trade style was amended to the simpler "Coalport China Ltd."
1955 moved from Crescent Works to the factory of Samuel Radford, High Street Fenton. 1958 Coalport changed hands in 1958 when it was acquired by E. Brain & Co of the Foley Works. 1963 From this date E. Brain continued as 'Coalport'. 1967 Coalport became part of the Wedgwood Group - 1985 moved to the Minerva Works in Park Street, Fenton. 2000 moved to a purpose-built facility at the main Wedgwood factory in Barlaston. Late 2001 the Minerva Street works demolished. in the back right is the rear of the Royal Doulton Minton offices. 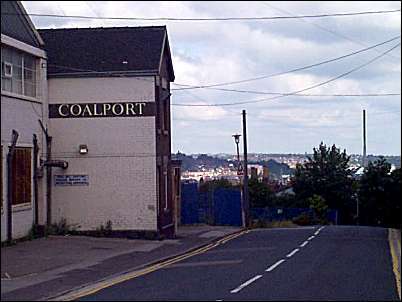 at some time Coalport moved to the Crescent Works in Stoke.